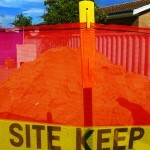 Designed as a temporary barrier with the ability to be stored portably and used again many times over. 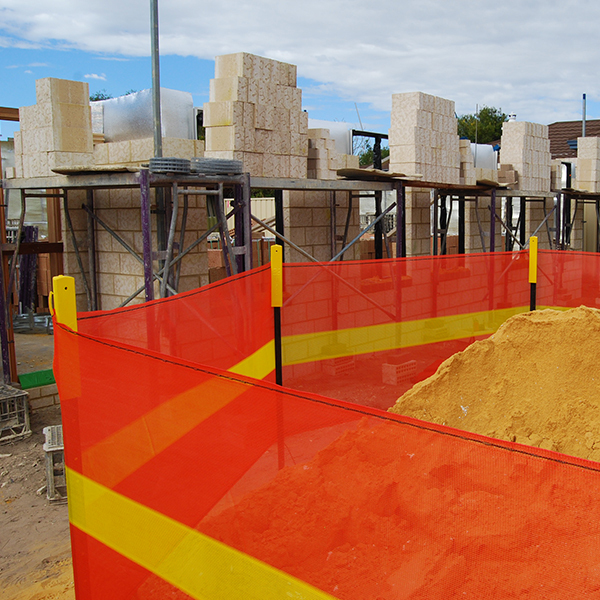 Very cost effective against traditional barrier mesh with much more impact and security. 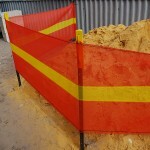 The Barrier Roll is available in 15 metre and 25 metre length rolls, and is 1 metre in width (high). The strongly woven HDPE mesh is UV treated and incorporates ‘button-hole’ attachments within the weave at close intervals, top and bottom of the mesh’s width. 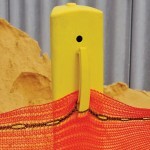 This unique feature allows the mesh to be easily attached/hooked onto the ZEBRA II Caps which slip over the pre installed picket posts. 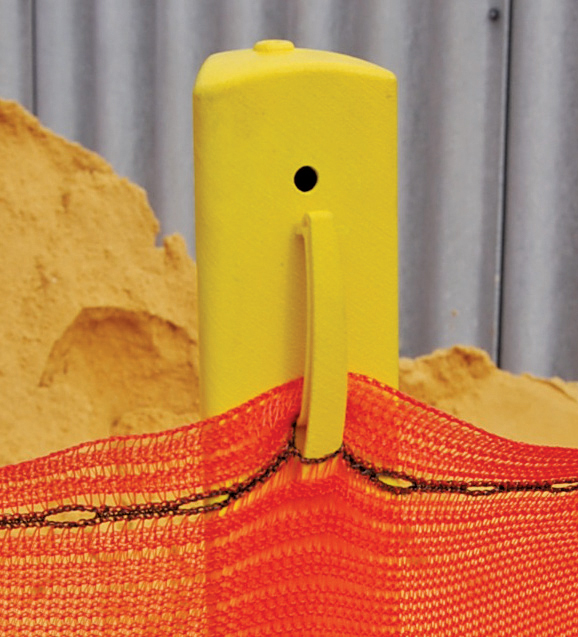 The mesh is attached to its own tube and cap and is easily slipped over a secured picket before being ‘rolled-out’ and attached to more pickets with ZEBRA II Caps, to form the required shape barrier of protection. When the job is finished, the Barrier Roll can be easily detached from the pickets and rolled up onto its own tube, slipped into its purpose made tough bag and stored ready for the next job. 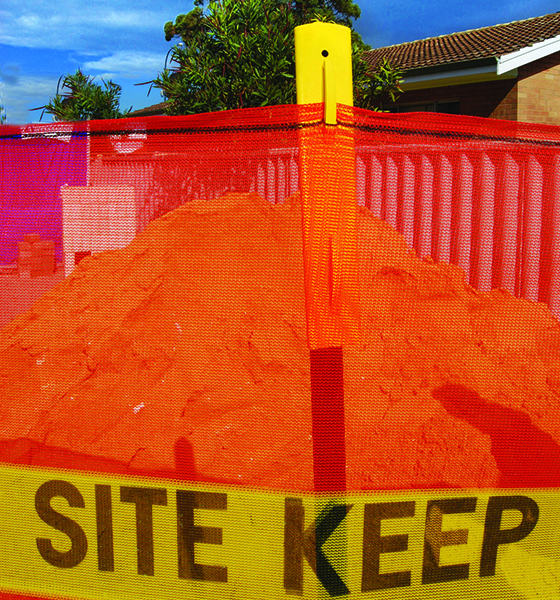 A one man operation – tough, secure and very cost effective. 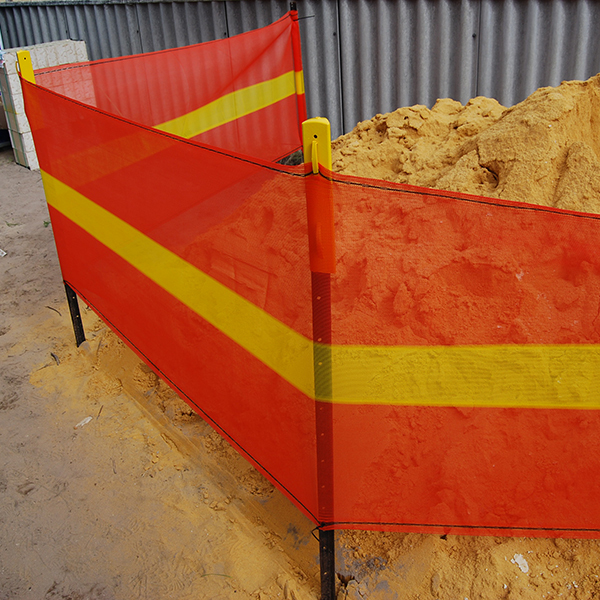 Available in orange with yellow central stripe or yellow with black central stripe. 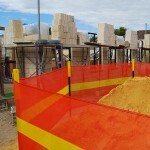 The mesh material can be printed on at an extra cost .